Who doesn't have a deal ahead of contract deadline day? DEADLINE day for clubs' out-of-contract talent arrives on Wednesday. There are still some footballers hanging out to learn their fate for the 2019 season. 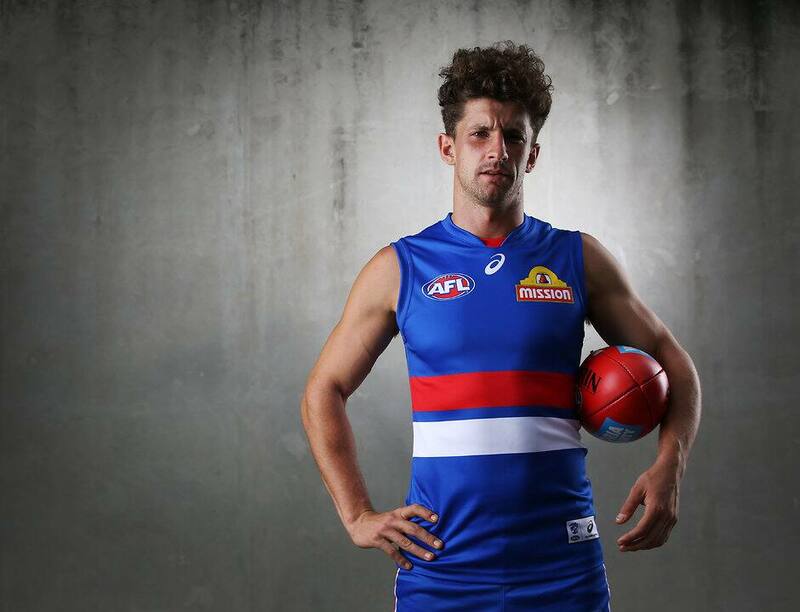 The well-known names yet to publicly ink a deal for next year include premiership players Tom Liberatore and Jacob Townsend, Hawk Ricky Henderson and Kyle Cheney. AFL.com.au provides an update below of your club's out-of-contract players. Hunter is likely to continue next year, while Cheney will have his fingers crossed for a 12th year in the League. The former Demon and Hawk was pick No.53 in 2007 and has scattered 85 games across 11 seasons. The Lions re-signed their final out-of-contract player, Ryan Lester, in early October then enjoyed a largely impressive NAB AFL Trade Period, where they scored Lachie Neale, Marcus Adams and Lincoln McCarthy and lost Dayne Beams – gaining two first-round picks for him – and Sam Mayes. Kym LeBois, nephew to the Davey brothers – Aaron and Alwyn – and 1993 Brownlow medallist Gavin Wanganeen, has committed to a third year on the rookie list. Sam Rowe, Nick Graham, Sam Kerridge and Jed Lamb were the Blues' last delistings. Impressive rookie Brody Mihocek has re-signed for two years, as AFL.com.au forecast in August. Josh Daicos and Levi Greenwood will both receive new deals, as should Tyson Goldsack, although his wait continues. But Kirby's heart condition could result in him retiring. The Pies' sole departure so far is Alex Fasolo, who signed as a free agent with Carlton, so Blair, Madgen, McLarty, Oxley and Smith will be nervous. Jake Long has re-signed to remain at the club for another year. Veteran ruckman Matthew Leuenberger retired last week despite having a one-year offer to play on, leaving promising young big man Sam Draper as Tom Bellchambers' chief back-up. Baguley is set to be delisted and redrafted as a rookie, while rookie-listed midfielder Trent Mynott has locked in his spot for 2019. McNiece has inked a new one-year deal to remain a rookie, while Dea will discover his fate this week. The Dockers' list outgoings were finalised with the delistings of Tom Sheridan, Cam Sutcliffe, Brady Grey and rookie-listed tall Luke Strnadica. You would have to be living under a rock if you're a footy fan and haven't heard that Daniel Menzel was delisted on Wednesday. Most of the focus has centred on the forward since then, but 108-gamer Jordan Murdoch's career at the Cattery also came to an end at the same time. Both have a reasonable chance of playing elsewhere next year. Rookies Dawson and Heron will be retained, but Leslie and Lonergan look in danger after the Suns welcomed an army of new players in recent weeks. Any doubt about Lachie Keeffe and Dylan Buckley's playing status was put to bed when the Giants announced new one-year contracts for both on Friday, along with others who were already known. The news was not so good for Lachie Tiziani, who was delisted after sustaining an ACL rupture in April. The Hawks are keeping their cards close to their chest as usual. AFL.com.au reported back in August that Howe was on the verge of a new two-year deal and he has signed that contract, while both Schoenmakers and Mirra are set to continue for another season each. Pittonet will also be at Waverley Park in 2019, but negotiations are ongoing. Lovell, the No.22 draft pick in 2015, and Whitecross will have to rely on a lifeline elsewhere after being delisted. The future for Henderson, Miles and Jones is also yet to be revealed. The Demons are already planning for additions to the list, whether by delisted free agency or in the draft. Declan Keilty's recommitment for another year completed the decision-making on those who played this past season. The Roos announced their final delisting on Thursday, with ex-Bomber Alex Morgan cut from the list after just one season. As previously reported, Morgan could earn a reprieve at North via the rookie draft and is still training at Arden St.
Jack Trengove has signed a one-year deal to return to Alberton, while fellow recycled player McKenzie and Ladhams are set to do the same. Hewett is also expected to play on at Port in 2019, although he will need to be upgraded to the primary list or delisted and re-drafted as a rookie. Townsend's situation has been one of intrigue for some time. The Tigers are willing to re-sign the 2017 premiership forward, but at the same time are encouraging him to explore potentially better options elsewhere. Chol served a maximum three years on the rookie list, so he needs to be upgraded or delisted and re-rookied. Drummond has had two knee reconstructions, and suffered repeat hamstring setbacks in 2018, while Eggmolesse-Smith was the club's first Next Generation Academy selection last year. Ruckmen Billy Longer and Lewis Pierce each scored fresh one-year contracts, but the length of their new deals means they are on notice and will have to perform to extend their time at Moorabbin. Robbie Fox, James Rose, Jack Maibaum and Toby Pink have all re-signed for one season each, with the former upgraded to the primary list. Dan Robinson and Harry Marsh's time at the Swans ended with their delistings on Wednesday. Their exits brought to seven the club's number of delistings, on top of retired forward Kurt Tippett officially coming off the list and Dan Hannebery, Gary Rohan and Nic Newman being traded. Brendon Ah Chee and Fraser McInnes were among three Eagles' re-signings on Monday evening, rounding out the club's list. 197cm ruck option McInnes, who has played only 14 games in seven years, survived as the Eagles prepare to be without Nic Naitanui for much of 2019. The elongated wait to discover Liberatore's future continues. He is the last player at the Kennel who is yet to know his 2019 fate, although it has long been made clear he remains in the Bulldogs' plans. Why it's taken this long for something to be sorted, only the club, Liberatore and his management will know. But Tom Campbell and Mitch Honeychurch, the Dogs' latest delistings, will need to find a new home if they are to continue their AFL careers.